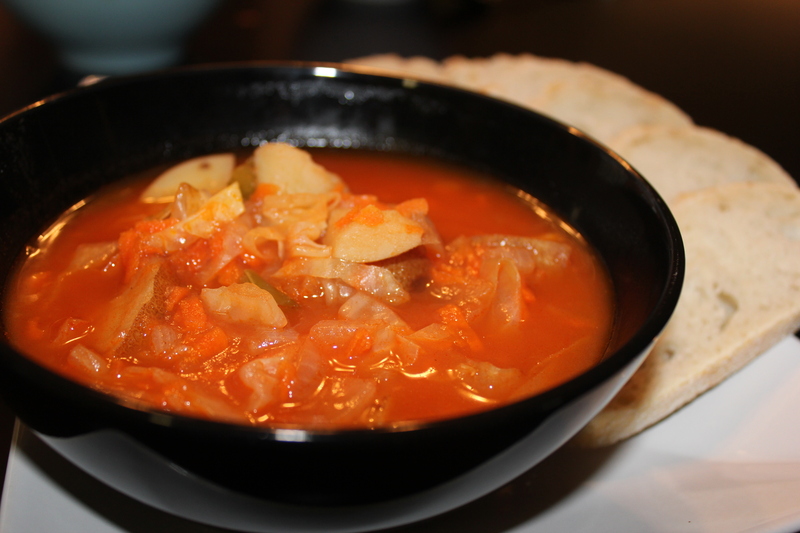 YumVeg.com - Borscht! Believe It. I lived in Russia. Twice. I know borscht. It’s like potato salad in America; everyone has their own variation and preferences for all the different nuances of ingredients and/or preparation methods. I’m going to share with you my own version adapted from the hundreds (literally) of bowls I was fed during my collective two years’ time in both Rostov and Moscow. I feel like I should make a yard sign that says, “Give Borscht A Chance,” or maybe, “Make Room For Borscht In Your Life.” I’m just not sure it would be as convincing as putting that first spoonful to your lips. The aroma, alone, is enough to bring complete strangers to the door asking what time supper is being served. Seriously, this is good stuff. 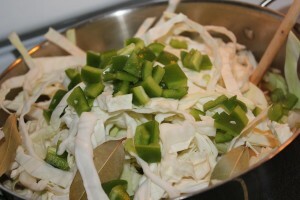 I didn’t even like cabbage before I went to Russia for the first time, and now I can’t imagine my life without it! And as for the beets: Because when I asked, “Where are the beets? !” I was told — it’s a regional difference. I lived the majority of my time in southern Russia, where no one puts beets in their borscht. Go to Armenia and they put rice instead of potatoes. Head west into the Ukraine, and you’ll find mushrooms in your bowl. Up north toward Moscow and St. Petersburg is where you’ll find some beets flavoring your palate. 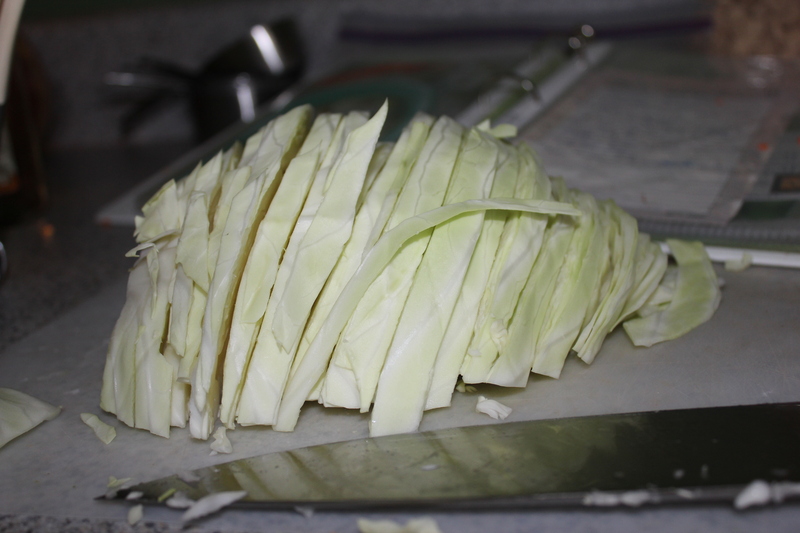 But everyone agrees on at least one ingredient, and that’s the cabbage. 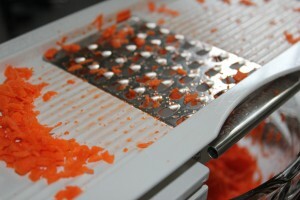 Even the preparation of vegetables is controversial. Just like whether or not your Aunt Muriel’s potato salad is better than your cousin Velma’s, so, too, are Russians particular about the methodology they employ to churn out the best tasting borscht. And you’ll hear no complaining from me. I’ve rarely met a potato salad I didn’t like, and the same is true for borscht. It’s served year-round in Russia, although it tends to only grace my table during the winter months. Traditionally (here we go again with traditions), it should be eaten with a thick slice of black bread with a dollop of sour cream (vegan versions are available) stirred into your individual bowl. However, I can never decide if I like it better with or without the sour cream, so I never put it in since once you’ve added it to your bowl you can’t take it back out again and the flavor is forever altered. I’m a purist that way, I suppose. For this batch, we enjoyed a loaf of fresh sourdough bread spread with vegan sour cream and dipped our slices into our bowls for the best of both worlds. I made a pot Saturday afternoon for Sunday supper, but it smelled so good, I went ahead and ate it for supper on Saturday night (to be sure it tasted good enough for Sunday company), then again Sunday night as if for the first time, and then Monday, Tuesday, and Wednesday each, I enjoyed a bowl full of its goodness and now that batch is gone, but another pot is calling before too long. So, please give borscht a chance, and let me know how much you love it! This is THE soup to make for leftover value. It gets better and better with each passing day. I know it's frustrating to read a recipe that just says to eyeball it, or to put however many potatoes into the pot you want to eat, but that's really what I do with this recipe. 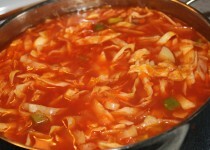 I love potatoes and they provide the real substance of this bowl of soup, so I put lots of them in my pot to begin with. 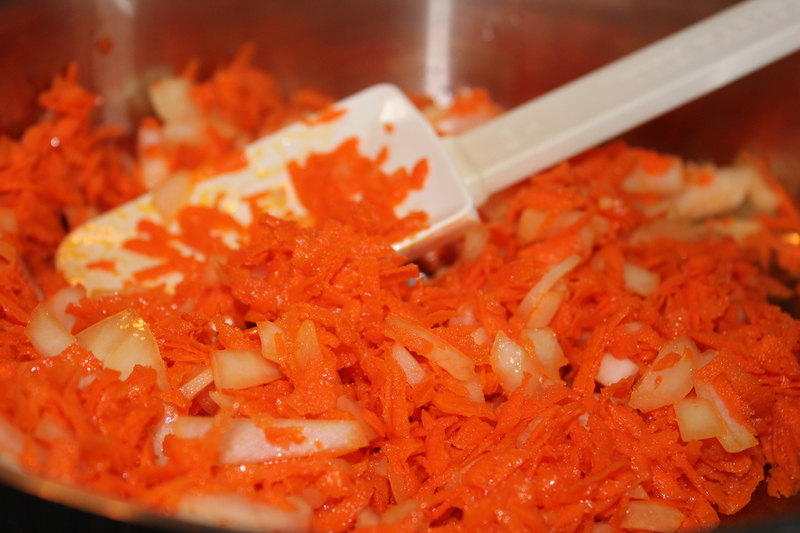 While the potatoes are cooking, chop the onion and grate the carrots, then saute them together in a skillet using the sunflower oil. 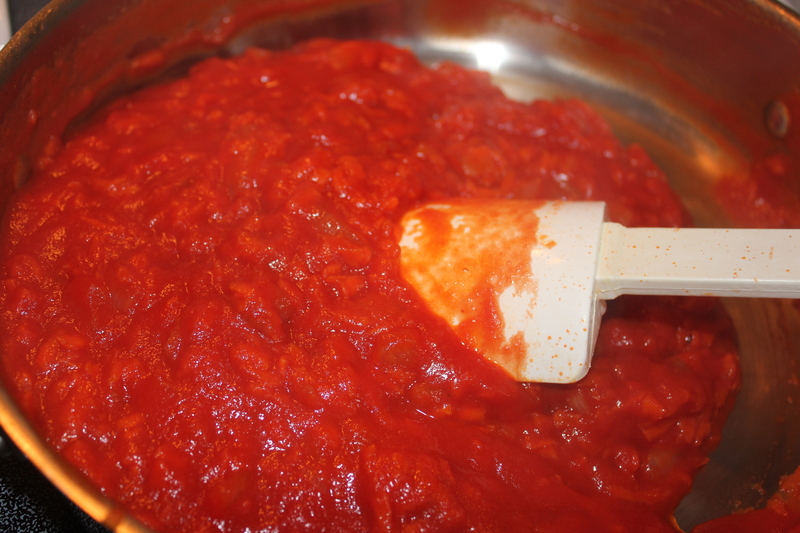 Add the tomato sauce to this mixture, cooking for approximately 15 minutes to blend flavors. Taste and add salt and sugar as needed. When potatoes are ready, reduce heat to simmer, add tomato mixture, stirring thoroughly. Add shredded cabbage, green pepper, bay leaves, and garlic cloves to pot, gently forcing these ingredients underneath the liquid. Allow all ingredients to simmer for 15-30 minutes before serving with fresh dill or parsley. Note: I allow the ingredients to simmer for the allotted time, then turn off the stove, put a lid on the pan, and come back hours or even a day later to consume vast quantities by the bowlful. I do believe the extra time benefits the bowl, although there's nothing wrong with instant gratification. This batch will make enough to last you a week, so you'll have the benefit of the immediacy of its speedy preparation, as well as the soup bowl that keeps on giving long after your dinner hour has passed. One Response to Borscht! Believe It.